Dubai's annual tech trade show, GITEX, is on this week, showcasing over 4 500 live demos of future tech solutions. In its 38th year, the event has become one of the main exhibitions of future tech solutions in the world. Technologies demanding the most attention this year are artificial intelligence, robotics, smart cities and 5G networks. GITEX, which stands for Gulf Information Technology Exhibition, is an annual consumer computer and electronics trade show, exhibition and conference that takes place in Dubai, United Arab Emirates. More than 150 000 attendees are expected to pass through the doors of the Dubai World Trade Centre this week as they visit more than 4 000 exhibits and 700 start-ups from a 100 different companies. 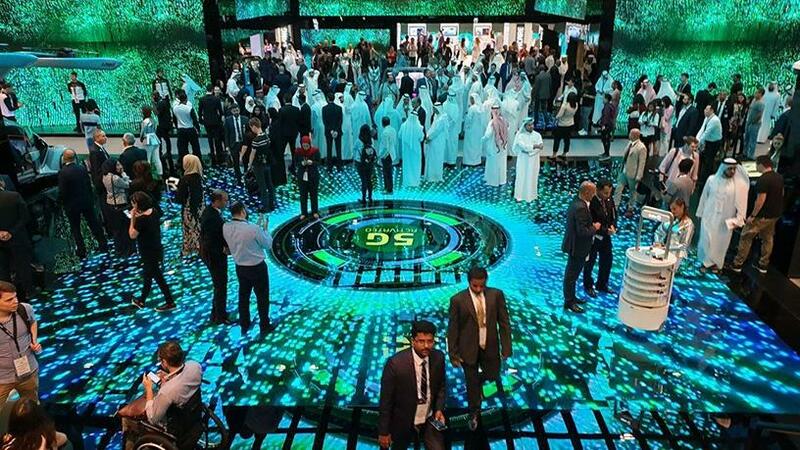 Dubai-based telco Etisalat showcased a live download speed comparison between 4G and 5G live networks, as well as other emerging technologies that will be made possible with the implementation of 5G. 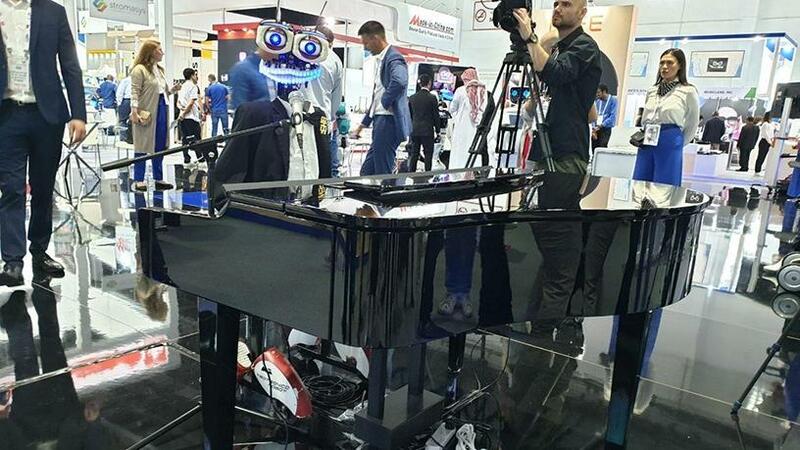 "GITEX is about celebrating and giving real-world value to the future tech designed to make our lives happier, easier and more exploratory than ever before," says Trixie LohMirmand, senior VP of events management at the Dubai World Trade Centre, which organises GITEX. "Our participating creatives, from exhibitors, to speakers, to hundreds of competition entrants and thousands of visitors and investors, will converge on Dubai World Trade Centre this week to discover, get to grips with and eventually harness the digital technologies that, through creative working partnerships, will revolutionise our way of living. We are very proud of that and are delighted to be under way." The crown prince of Dubai and chairman of the Dubai Executive Council His Highness Sheikh Hamdan bin Mohammed bin Rashid Al Maktoum (centre) officially opened GITEX. It is tradition for the crown prince of Dubai, Sheikh Hamdan bin Mohammed bin Rashid Al Maktoum, to open the tradeshow. 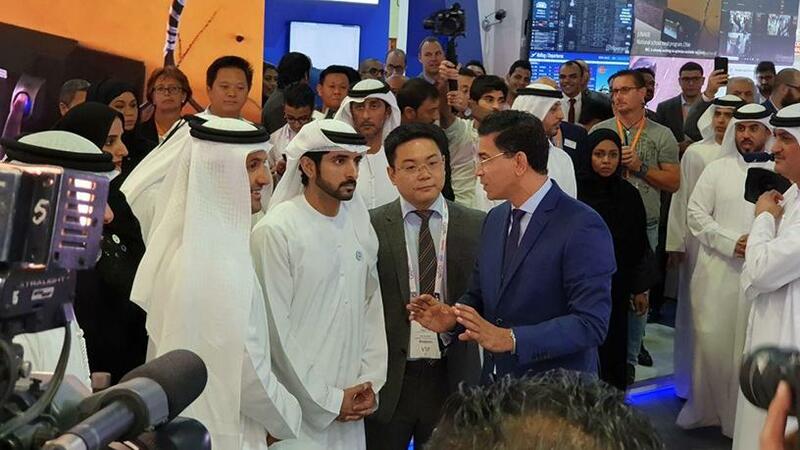 He is given a tour of some of the stands on display to witness live demonstrations of next-generation technology solutions from governments and international companies in the Middle East and the rest of the world. The stands he visits is decided by his team and only revealed on the day. This year, those stands included Etisalat, Cisco Systems, Dubai Municipality, Huawei and Du. Several robots are on display at the show. This one has piano keys for teeth and plays Ed Sheeran's "Shape of you" on repeat. 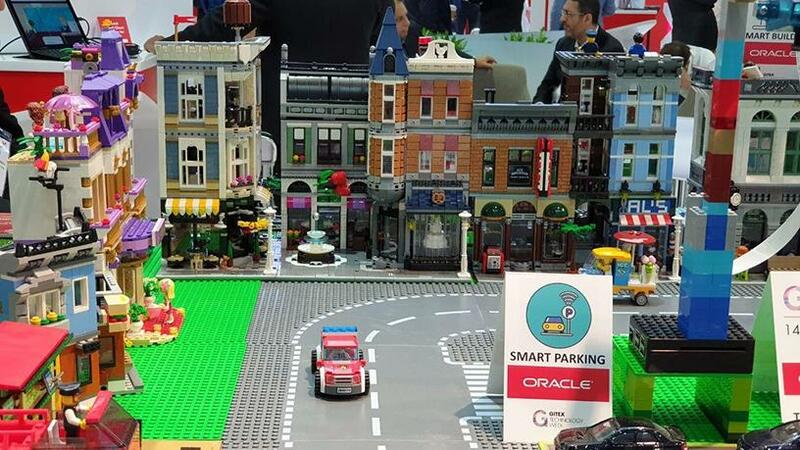 Oracle has Dubai's plans for a 'happy city' on display, created in Lego. 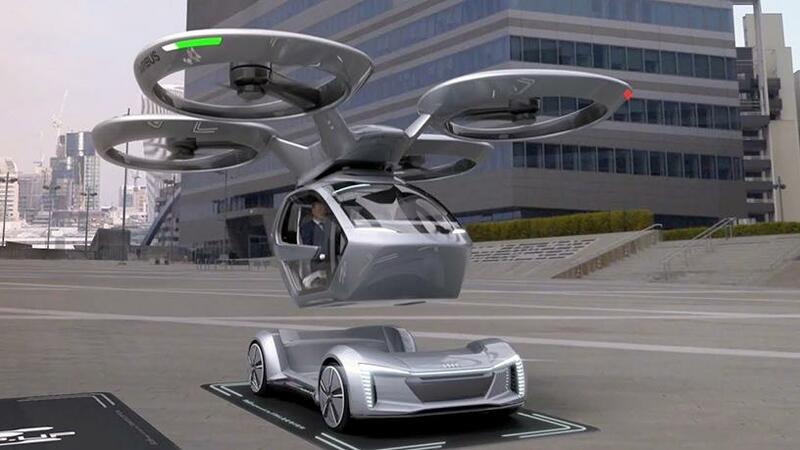 Etisalat showcased the 'Pop.Up Next' flying car outside of Europe for the first time. 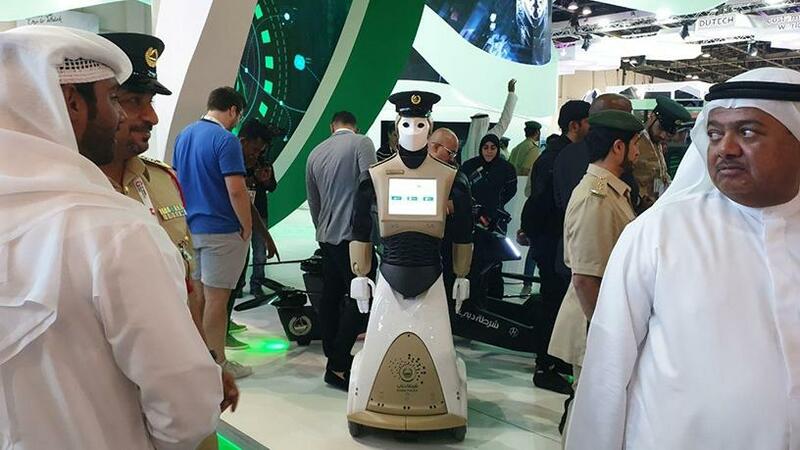 Dubai government departments showed the technologies they are implementing in the city, including the police force's 'robo-cops'.